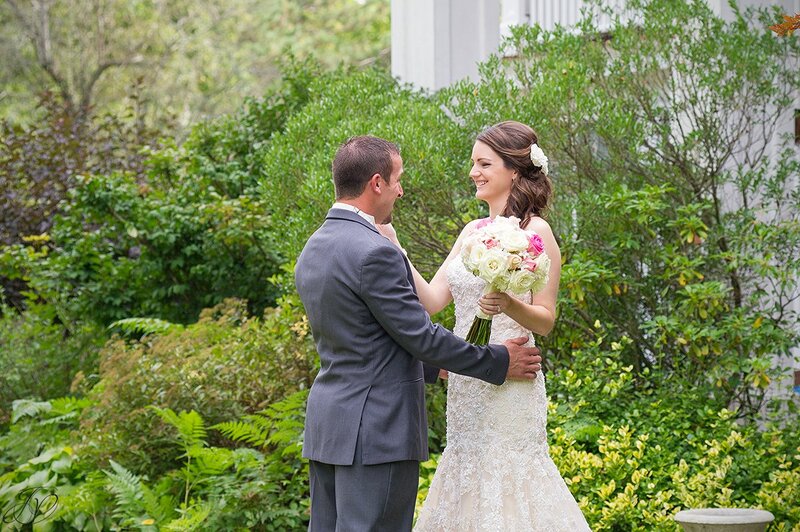 Don't you just love the idea of first looks at weddings?! 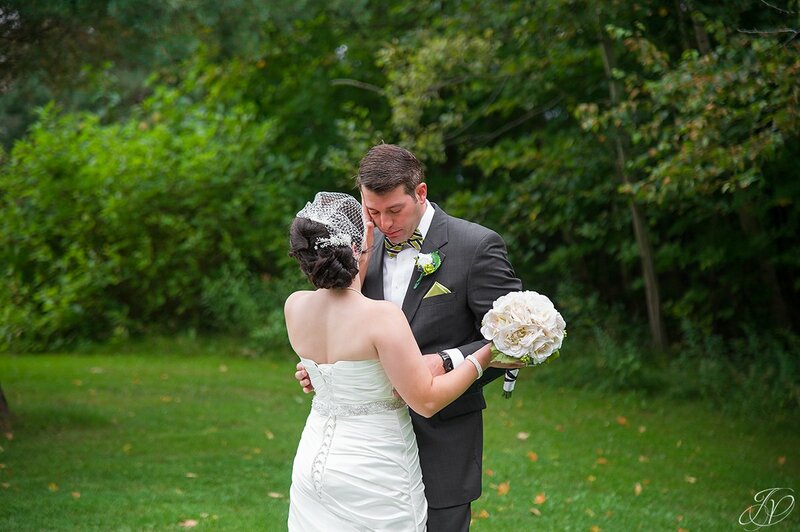 There are so many options for first looks and each one has such great emotions tied to them; we love them all! 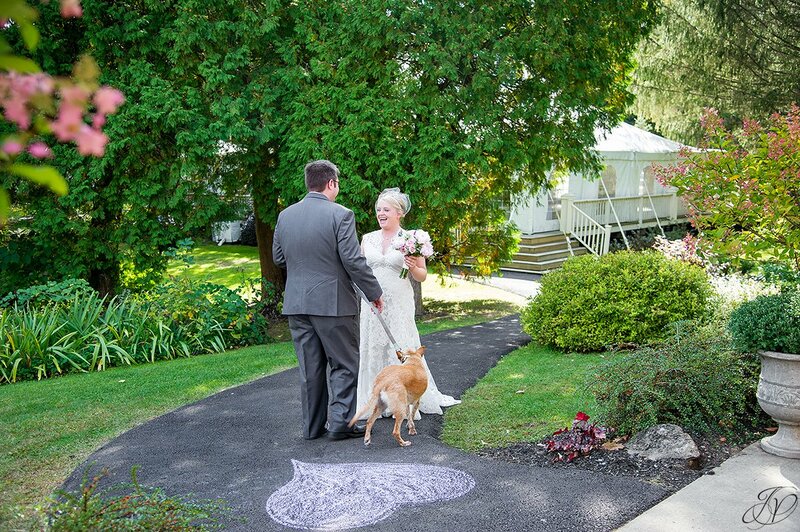 Our 2014 season brought with it quite the array of first looks - first looks with bridesmaids, with parents, between the bride and groom and of course, that special moment as you walk down the aisle. 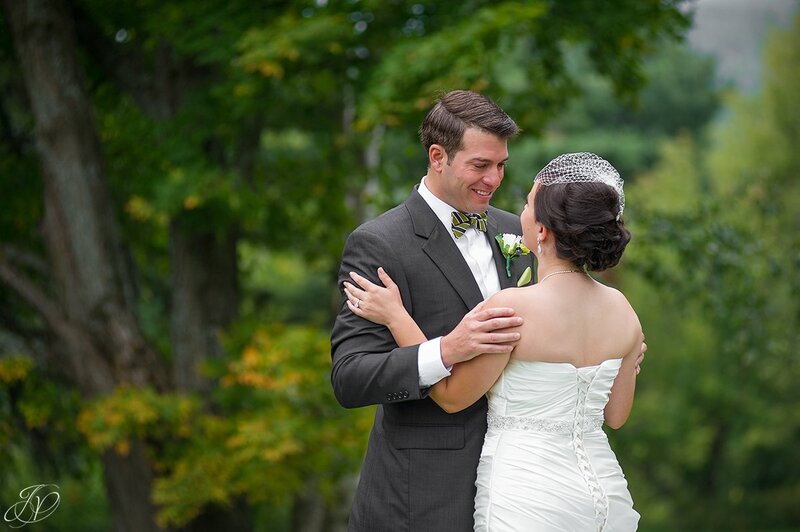 I loved each moment and was thrilled we were there to capture them all! First looks aren't for everyone, we know that! 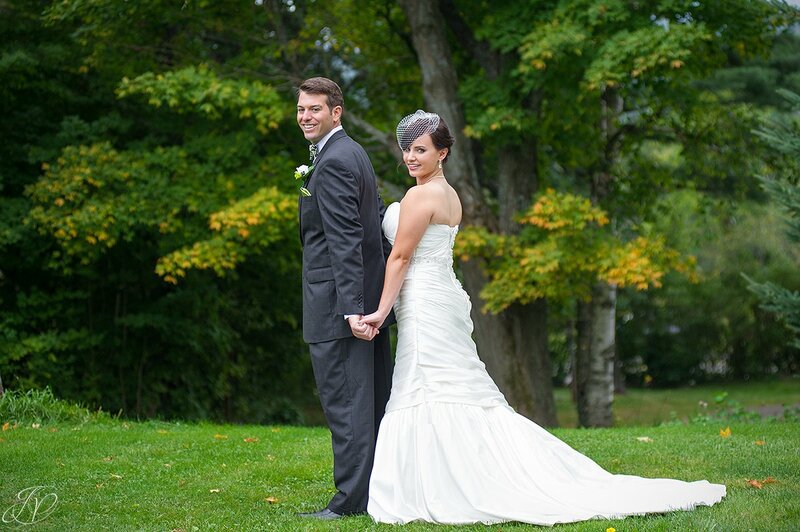 Hey, we didn't even do a first look at our own wedding four and a half years ago. 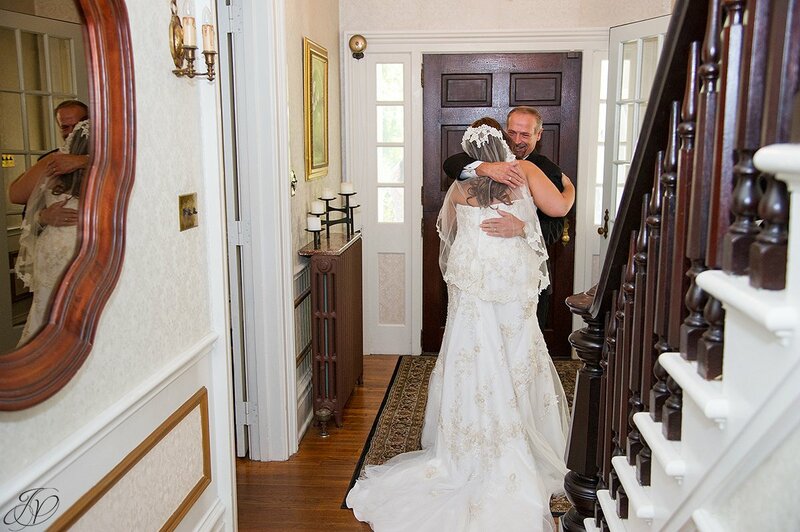 My father and I had a first look, but Ed said he wanted to wait and see me as I came down the aisle, which turned out to be a very special moment. I still cry when I look at those photos! 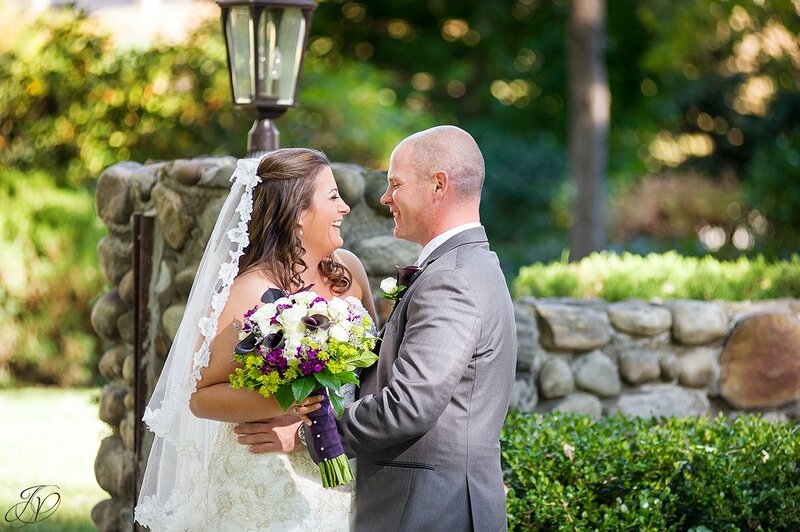 We talk about and encourage the first look with all of our couples. Some of them already have a plan (or plans) in mind while others love the suggestions we make. 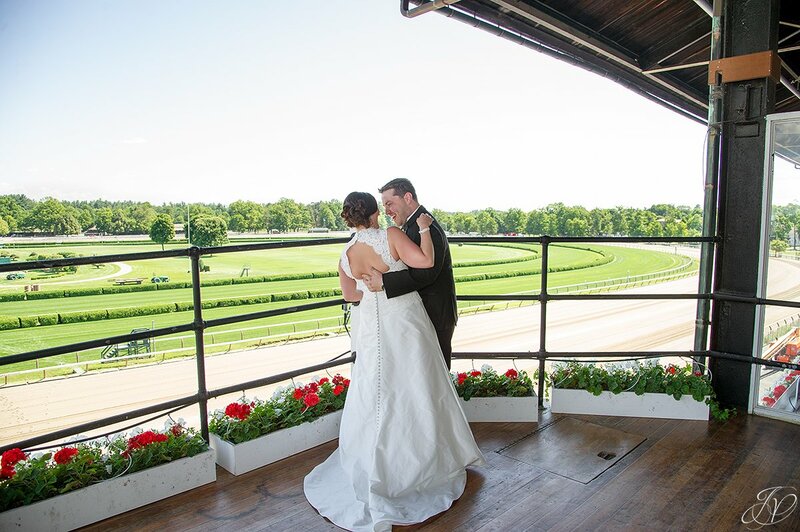 We always find what works best for our couples and go with it. 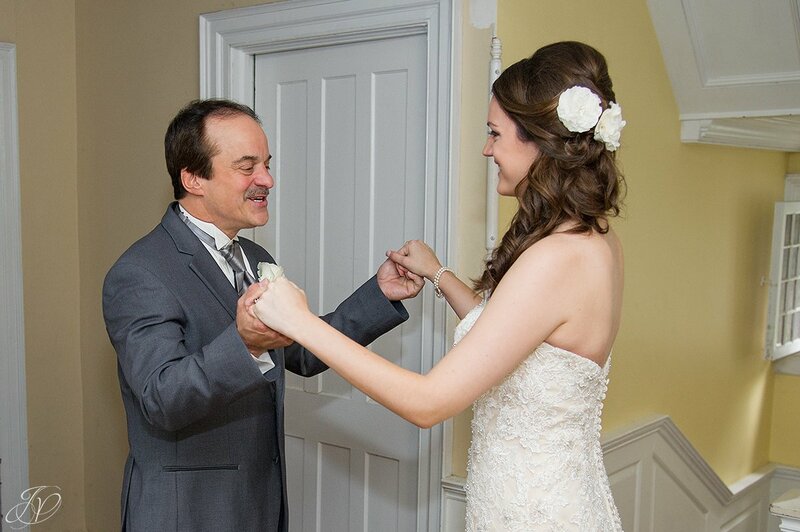 A first look I always enjoy is that moment with dads - brides, don't forget that you were and probably always will be his little girl, so this few moments alone with you before he gives you away is probably going to be extra special for him (and for you!). 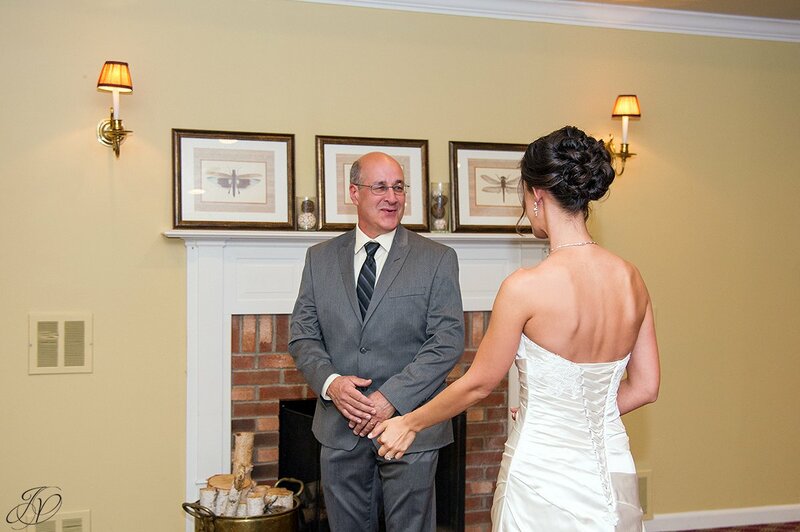 Mom first looks are great too! 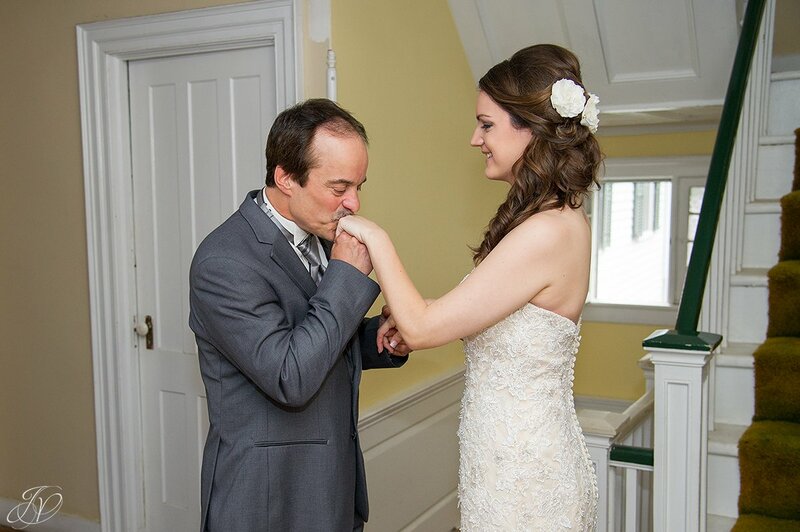 We don't always do them because she's already in the room helping her baby girl get ready for the big day but the ones we catch are so special. 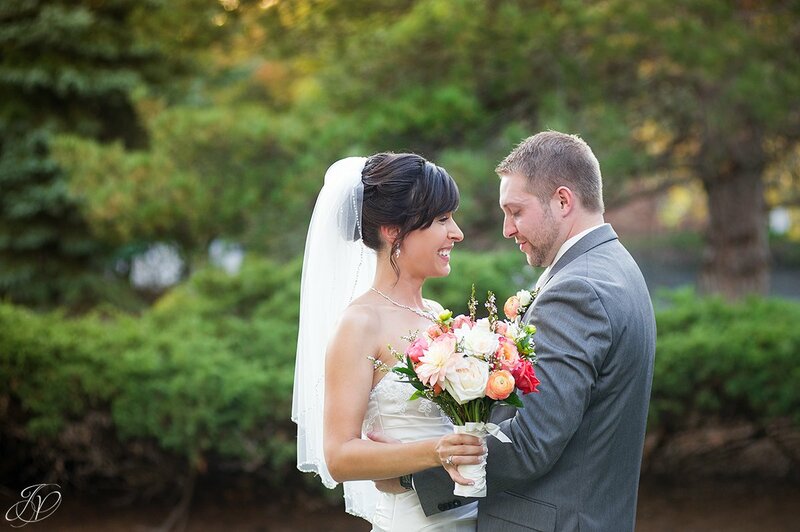 Bride and groom first looks are welcome and encouraged for so many reasons. 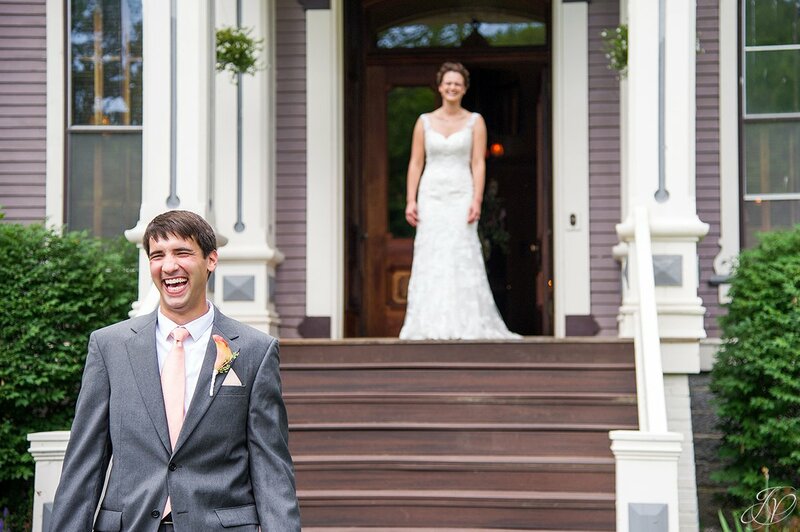 The photos we capture from the couples seeing each other for the first time are always so fun! 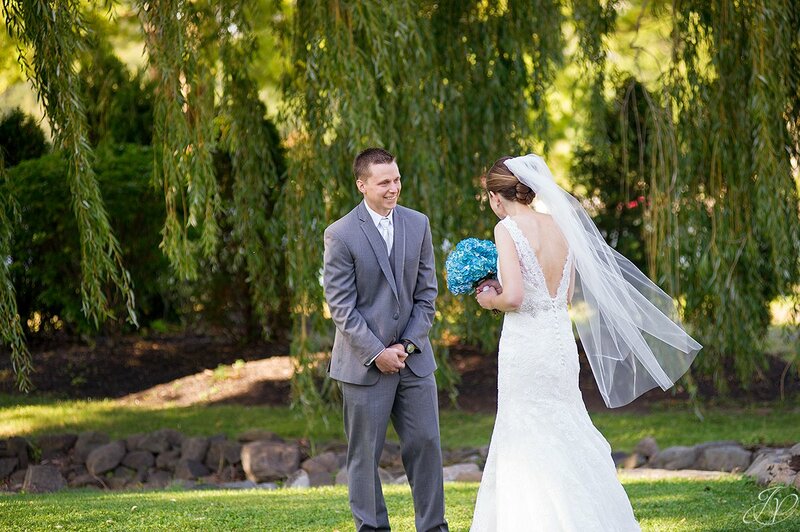 I love the expressions our grooms have when seeing this amazing beauty before them! 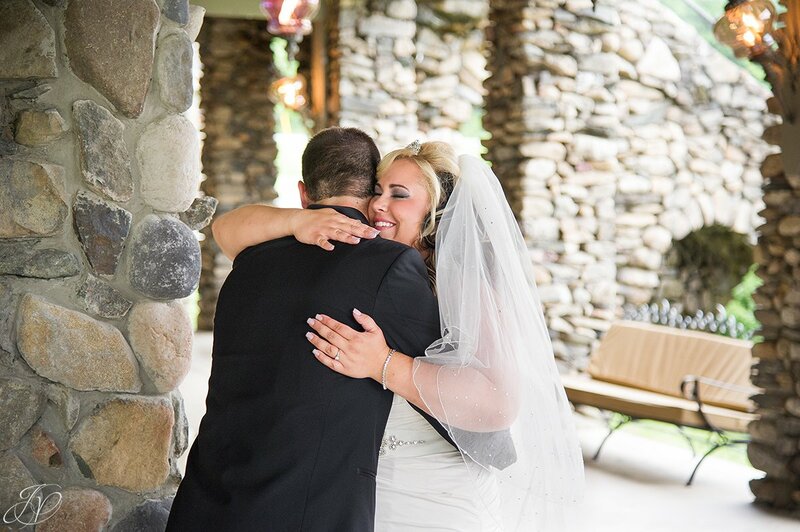 All of our couples who have seen each other before their ceremony tell us how glad they were to have done it. Seeing each other ahead of times really helps calm those nerves. Not only that, but you are giving us the time we need to get great bridal portraits without having to try and cram all of the photos you want between your ceremony and reception (which is doable although not always easy, especially with bigger wedding parties and families). 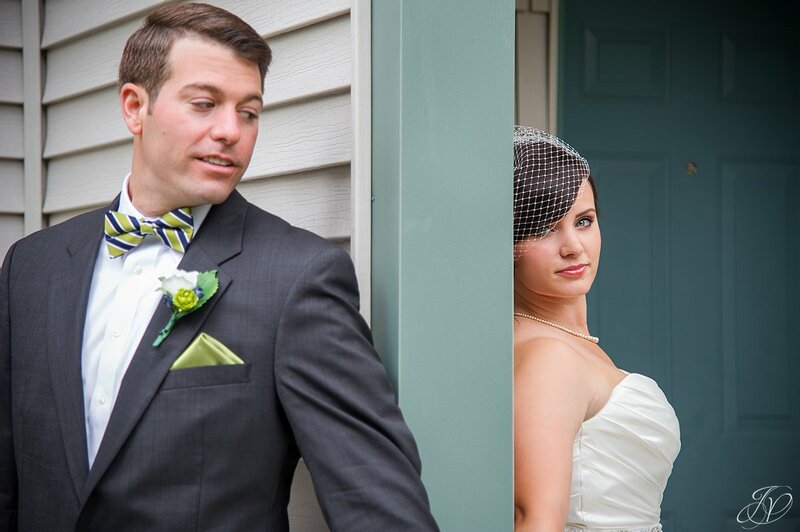 Some couples are hesitant to do a first look because they are worried it will effect the moment of seeing each other as they walk down the aisle. I don't feel like it changes that moment at all. That moment is a completely different kind of feeling and it will be just as meaningful with or without the first look. 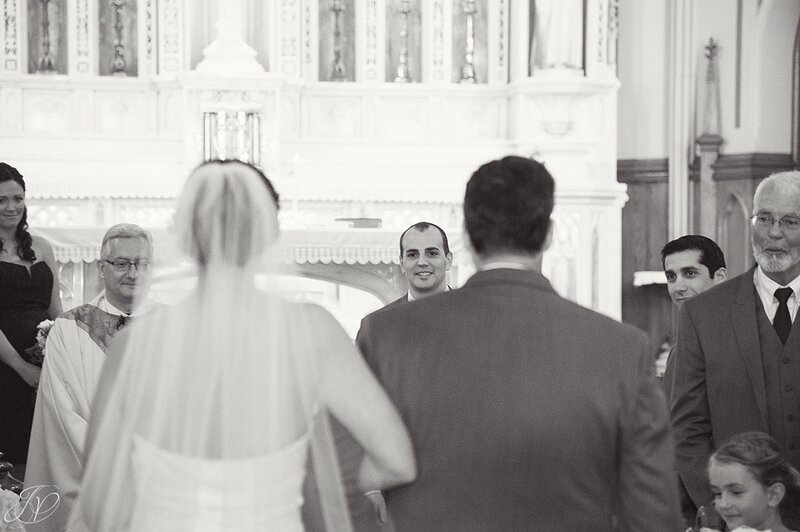 It's the moment you are seeing the person you are about to spend the rest of your life with. Those emotions will still be there; and we always be there to capture them! 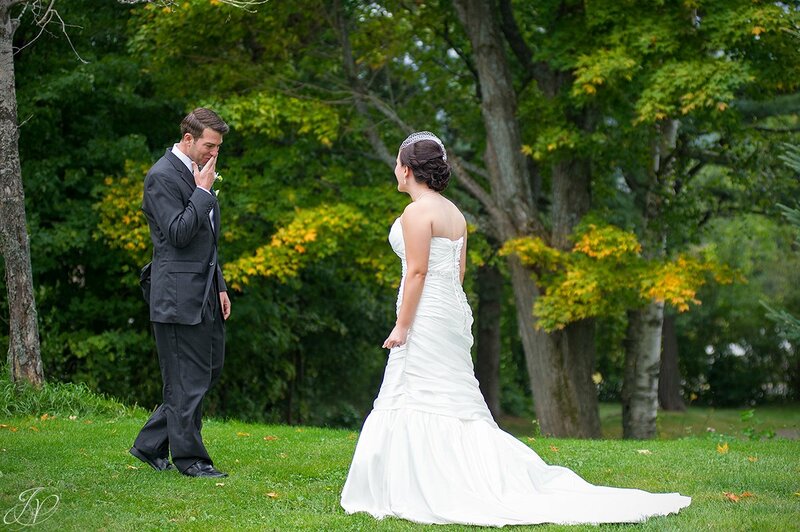 If you don't want to do a bride and groom first look, it's ok! We understand it isn't for everyone. 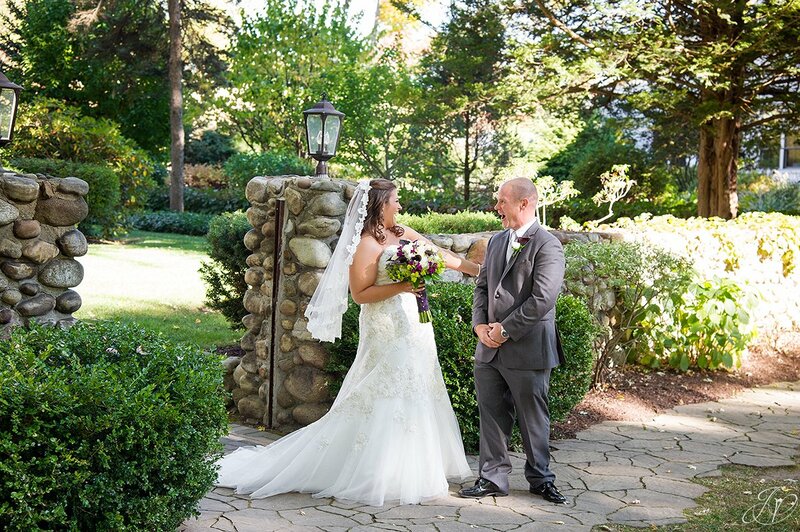 We will make some suggestions to make the day flow a little easier and feel less rushed in between your ceremony and reception. We had such an amazing 2014 year with so many different kinds of first looks. 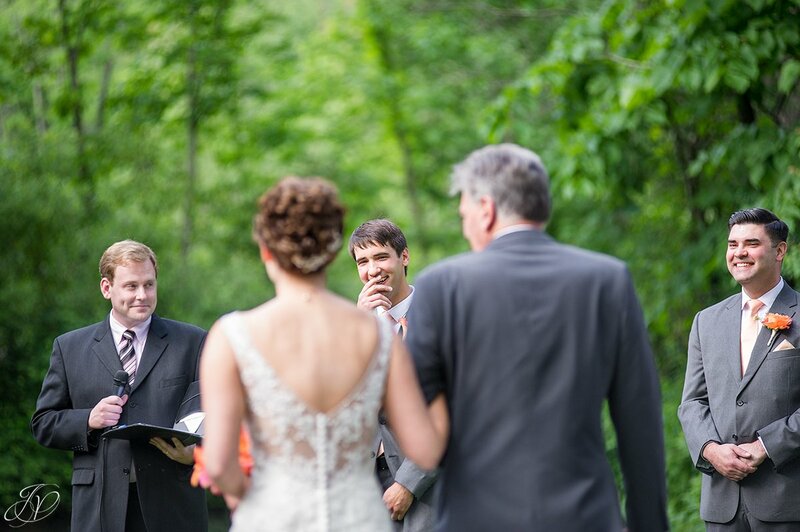 No one is better than another, and while you could do all of them or none of them, we are just happy to be there capturing the day! 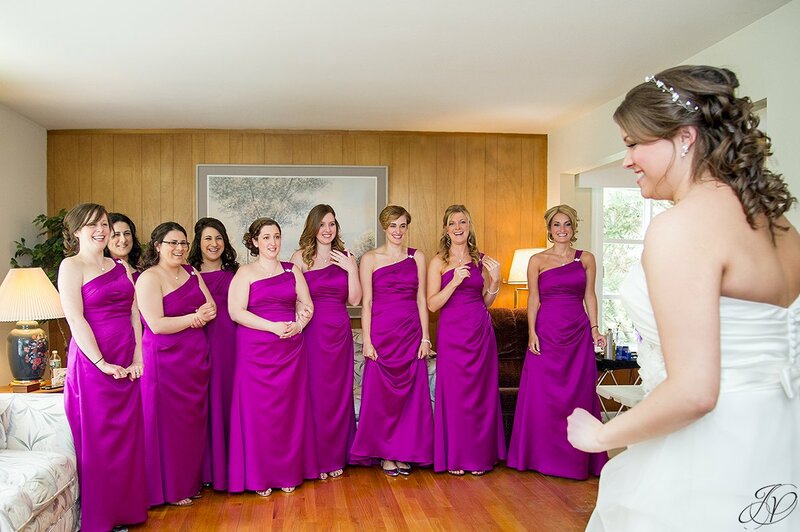 Check this one out first look with Ashley and her bridesmaids before her amazing spring wedding. 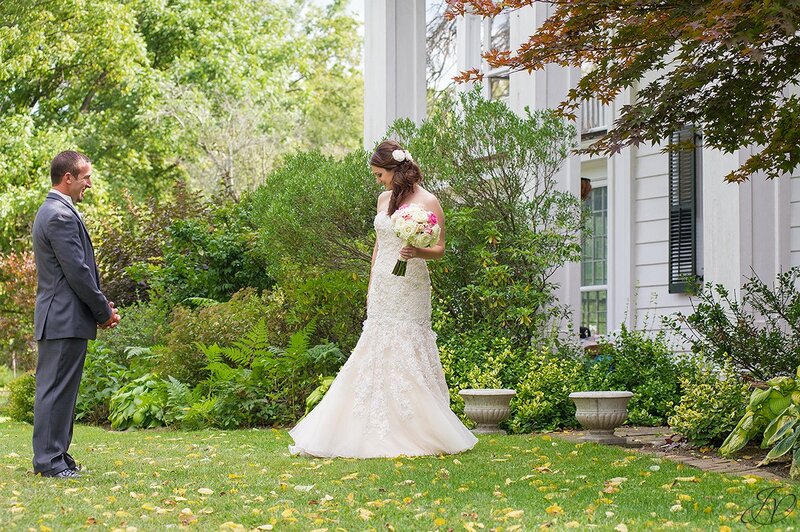 As we discussed her timeline before the big day, Ashley told me that none of her bridesmaids had seen her wedding dress yet and she was going to do a first look with all of them once she was fully dressed. I was so excited for this! Such an awesome moment! Ashley looked gorgeous!! 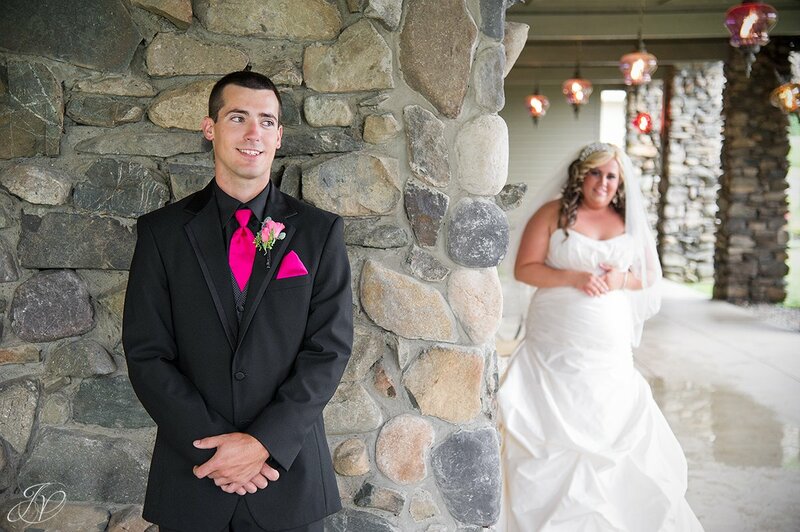 Josh and Amanda had a great first look as she came down the aisle during their ceremony at The Lodge on Echo Lake. 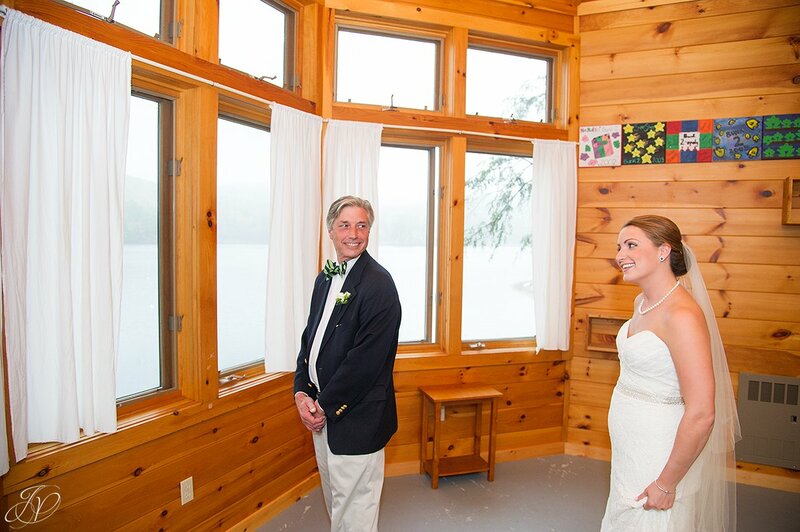 Another great moment we had this year was with Carissa and her dad before her wedding at The Old Daley Inn on Crooked Lake. It was such an awesome moment, even I was in tears! I love everything about these images. 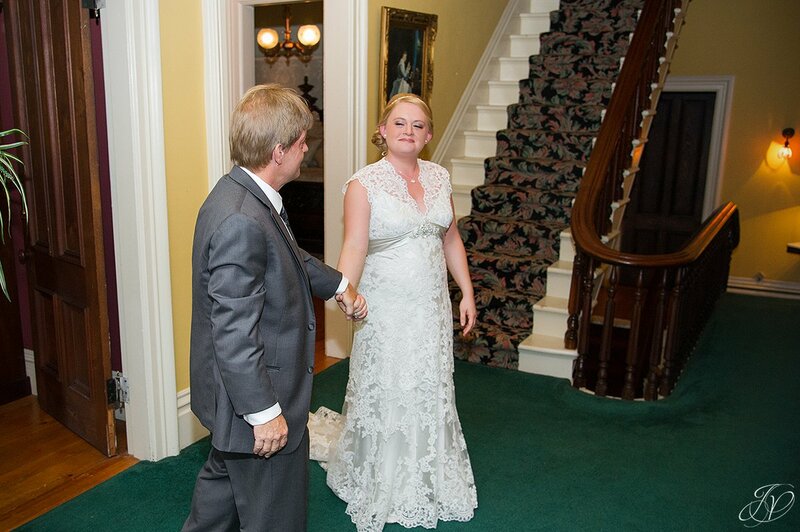 Then we headed downstairs for her first look with Tyler. Love this shot! 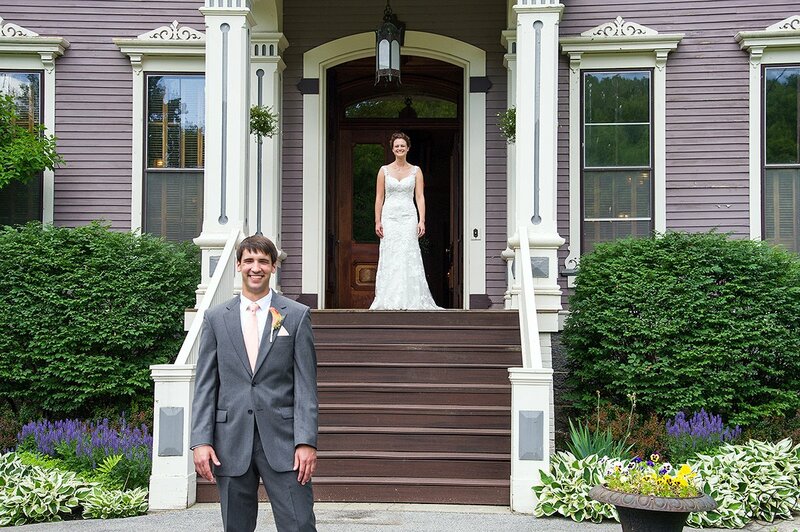 Lynn and Ben got married at The Mansion Inn. 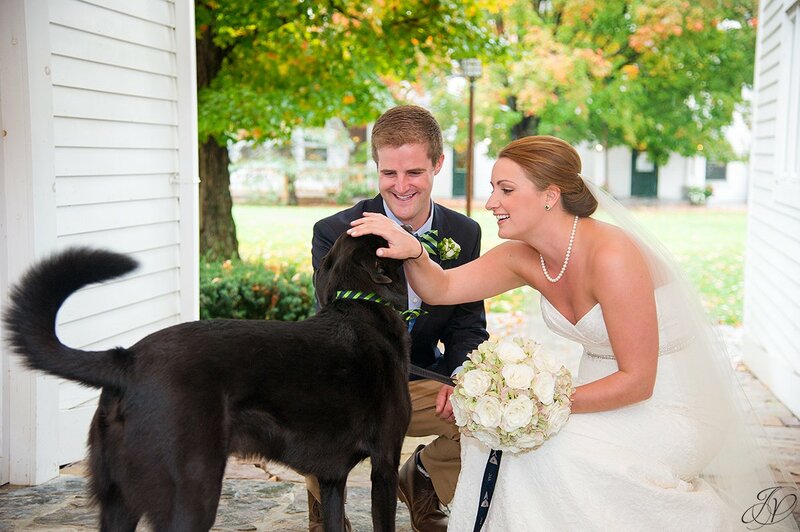 They were set on not doing a first look, but wanted to do some kind of reveal without Ben actually seeing Lynn before the ceremony. We discussed ideas, and came up with two fun ones. Here is their un-official first look. 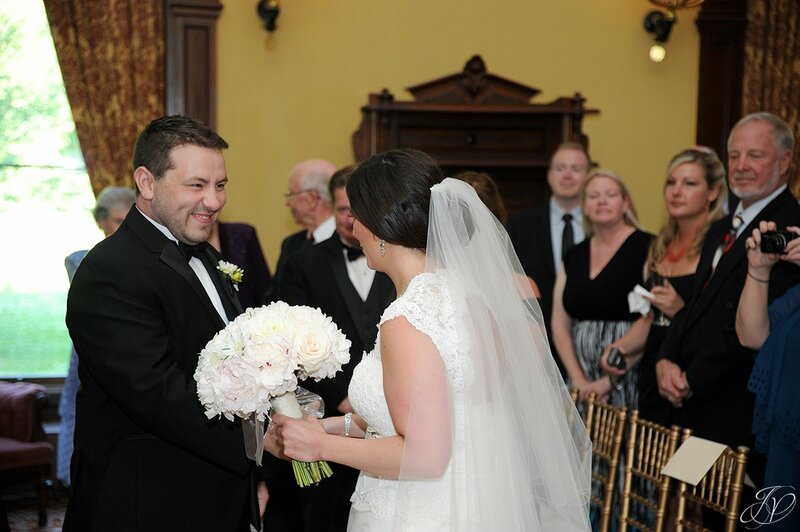 I was so impressed with how Ben didn't turn around and look! I would have been so tempted! After the unofficial reveal outside, we headed in for this next moment. Loved it. 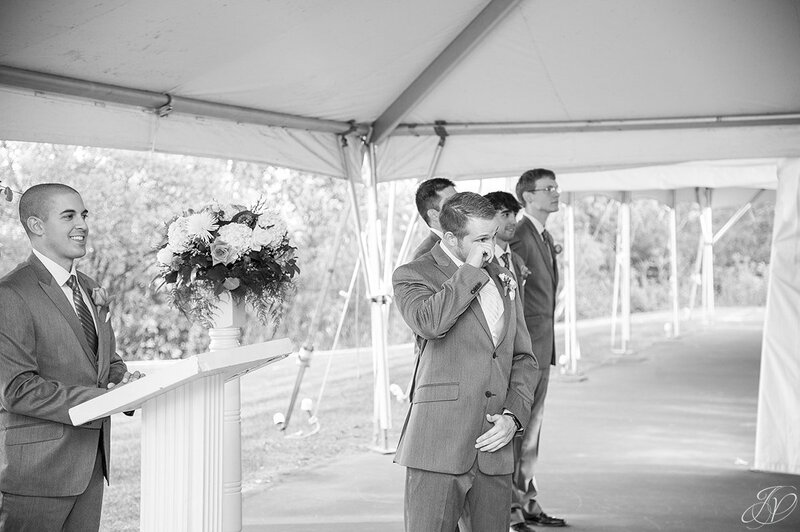 Ben may have shed a tear, I am still not sure; but either way, the emotions were strong! 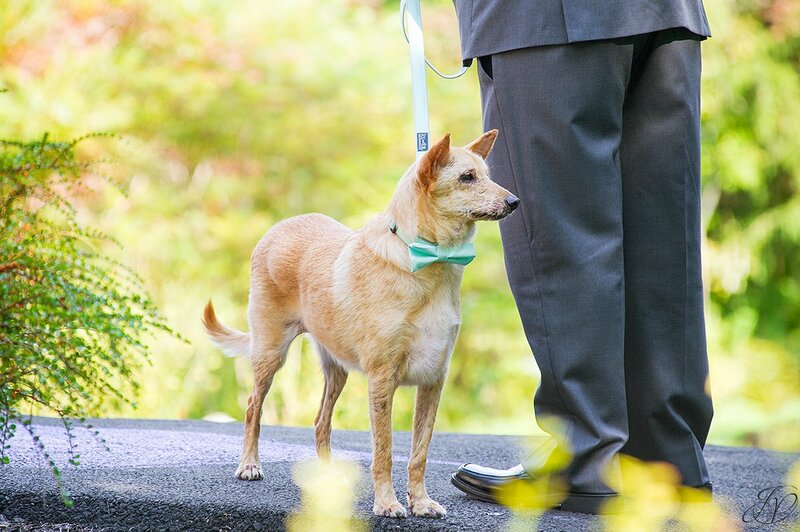 Then, he finally got to see her as she walked down the aisle. 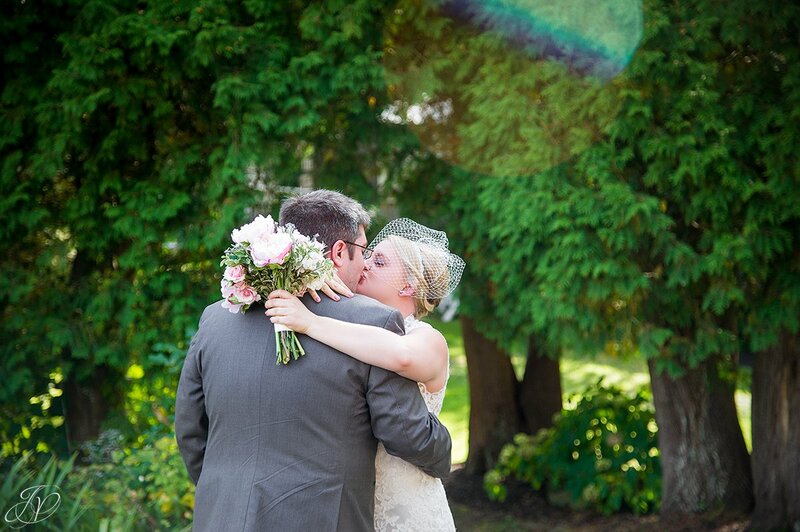 This moment was my favorite from the day! Speechless and in awe! Love it!! 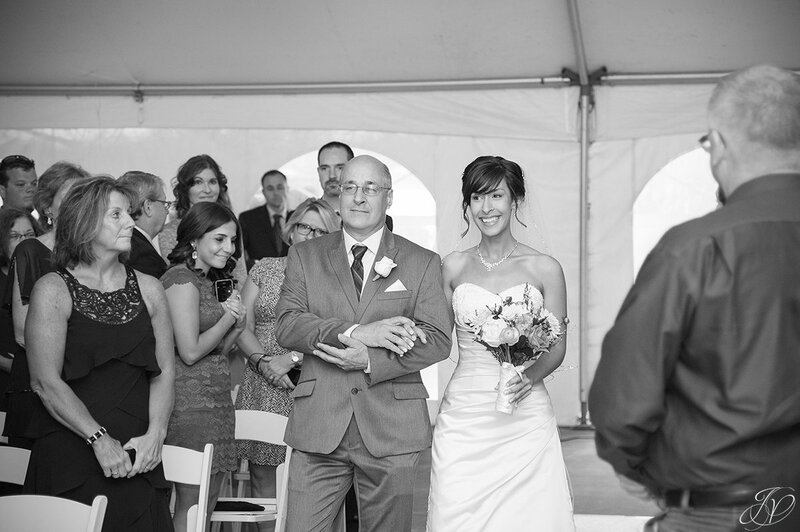 But this moment happened to be one of my favorites from the day... Katie on deck to walk down the aisle with her mom at the Canfield Casino, and then the expression on Chris' face when she arrived up front... Pure joy! Just love it. 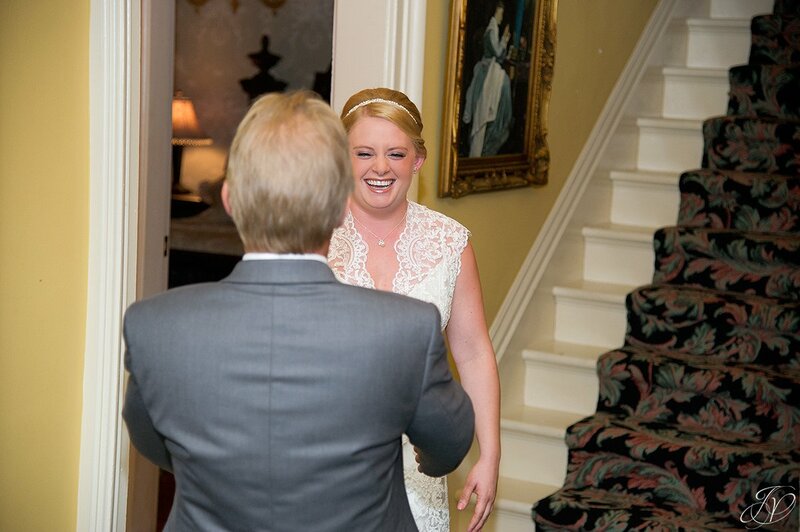 I love this shot of Steve seeing her for the first time. Check out his dad too... Everyone is impressed. And they should be, she looked stunning! Christian was dying to see her, I can see why - she is so gorgeous!! 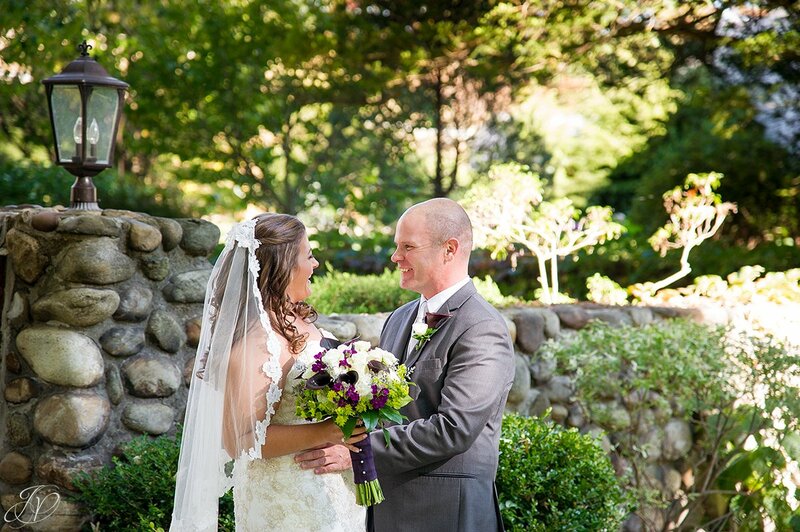 Then we headed over to this beautiful spot for their official first look. 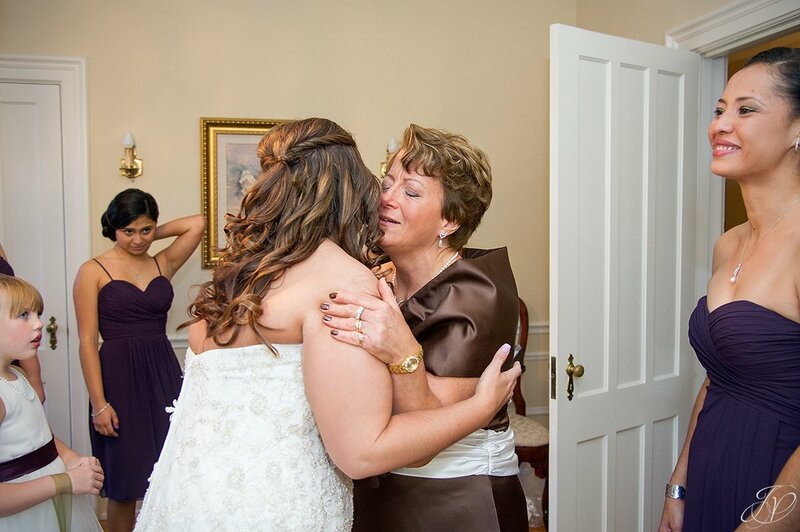 I think out of of all the people who witnessed this moment that there wasn't a single dry eye in the house! I know I could barely control my tears. Such an awesome moment. 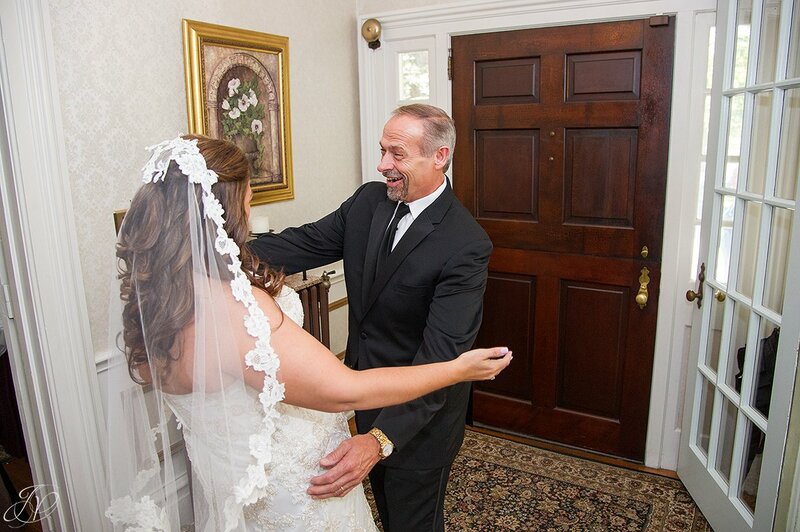 Before heading out to do a first look with her future husband at The Appel Inn, Jenn had a first look with her Dad. He was impressed! Just love this shot! 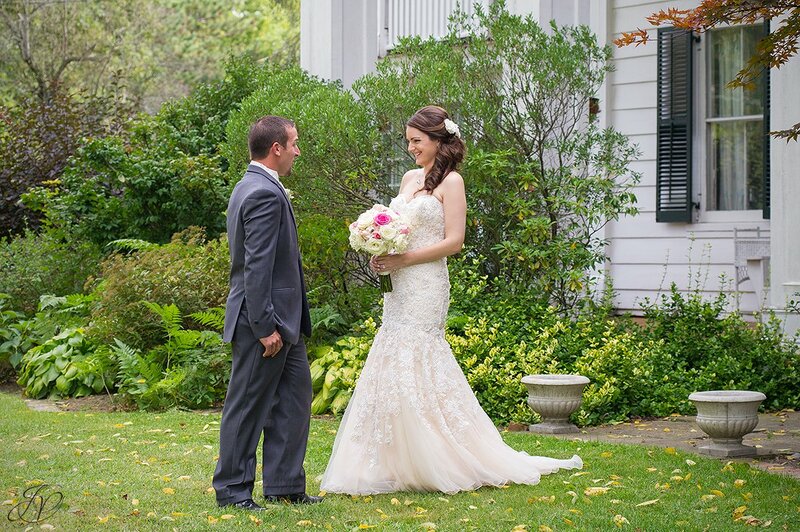 Jenn and Brandon's first look was fantastic too! I love how in awe he was at seeing her for the first time. Damn, girl, you look amazing!! 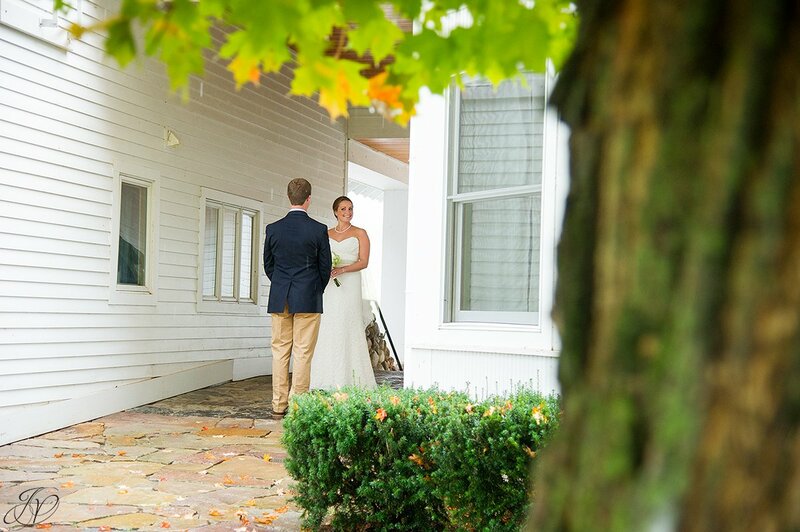 Katie and Matt's first look at The Old Daley Inn on Crooked Lake was so sweet. The shot on the left is one of my favorites! 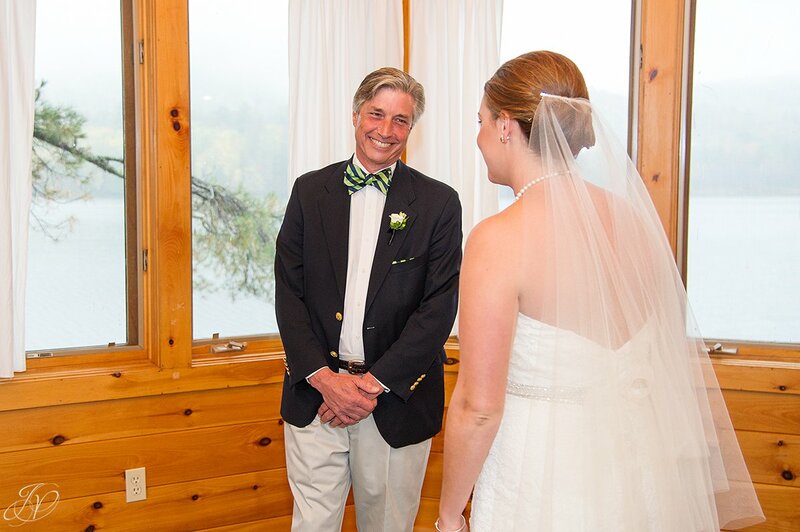 I love Sarah's face here as she sees her dad for the first time on her wedding day! 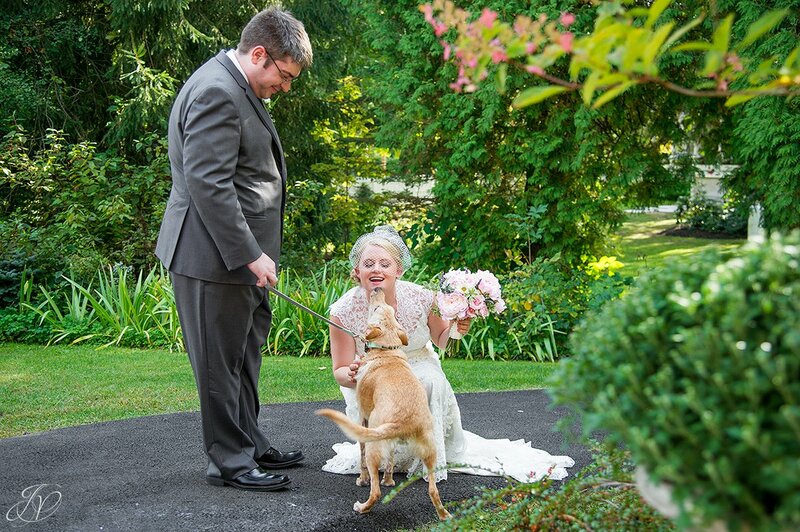 We then headed out to the grounds of The Mansion Inn where her future husband Tim and their beautiful dog Oliver were waiting for see her for the first time. 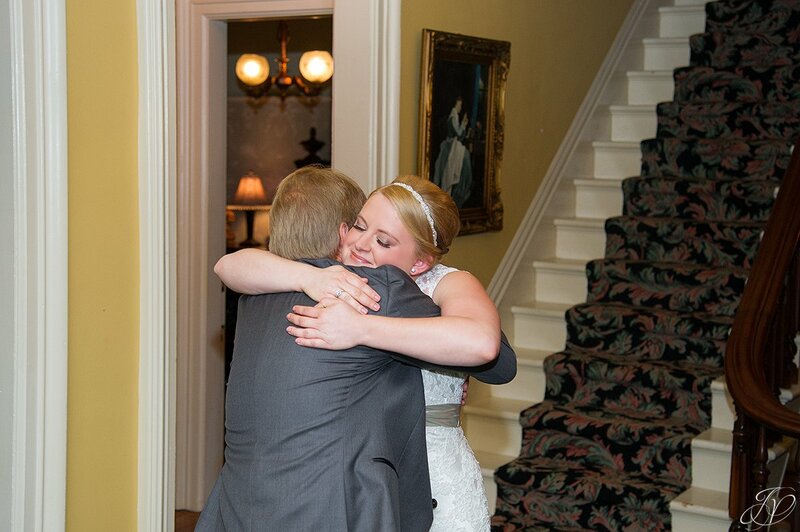 Catherine had such a great moment with her Dad before her Century House Wedding. 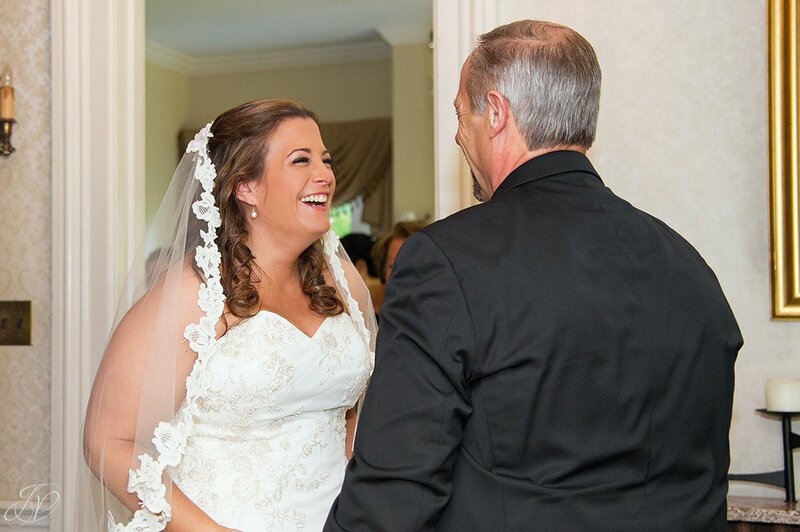 Then this moment as she came down the aisle to Stephen was so great! 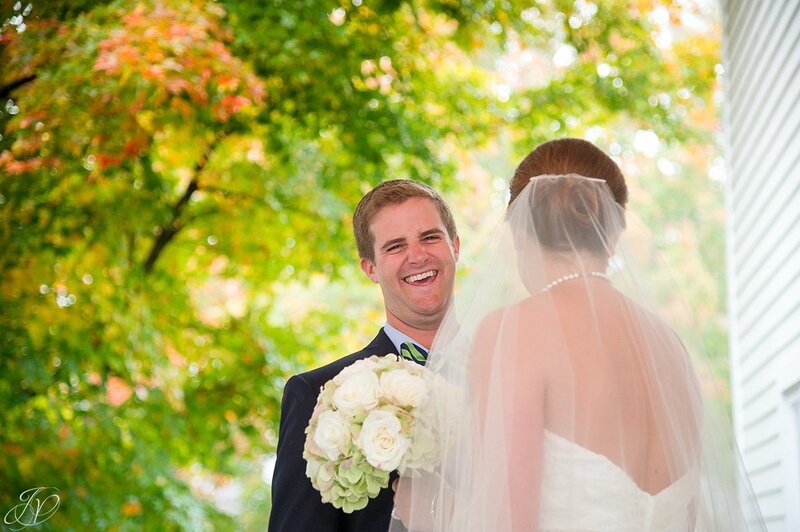 This was moments after they said I do... you can tell he is still blown away! 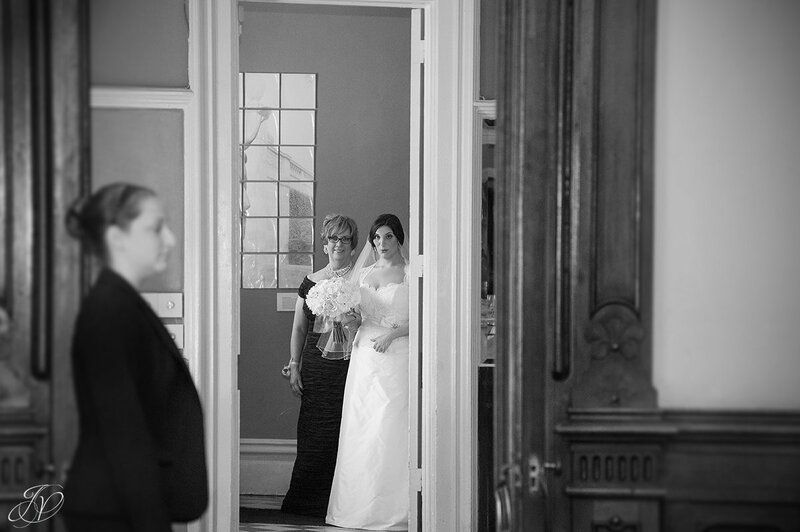 I loved this candid, unexpected moment between Stacy and her mom at River Stone Manor! 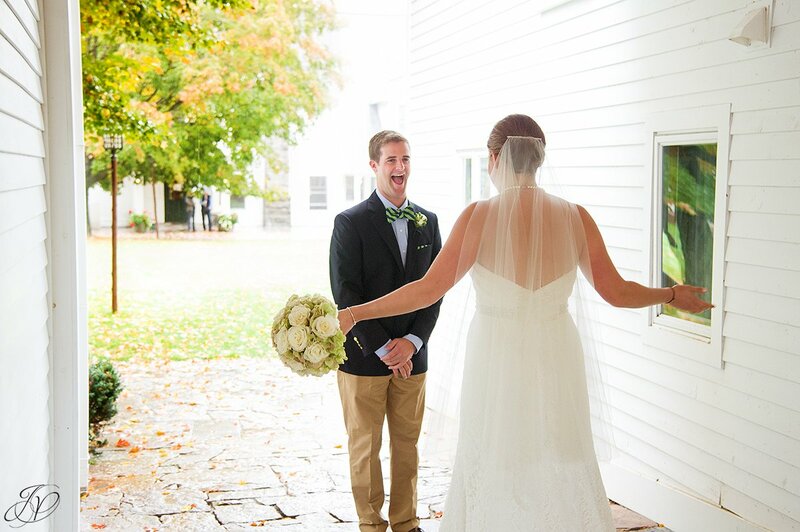 And up next was her future husband Todd, waiting outside! Such great moments here! 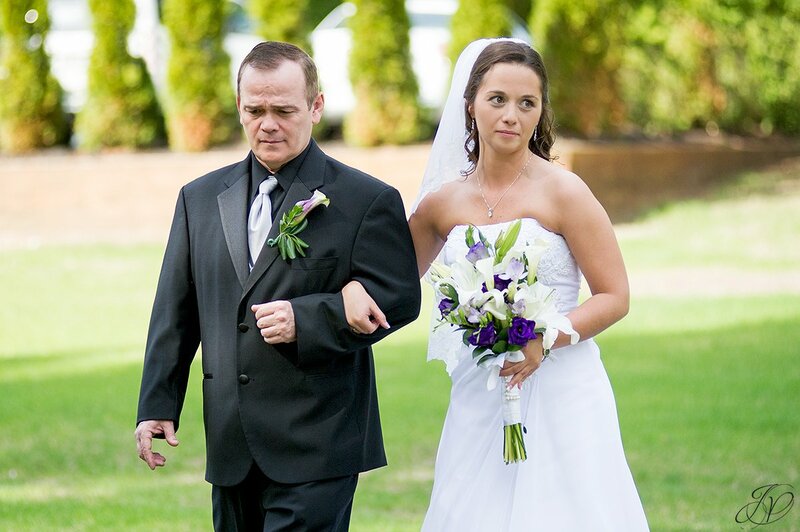 Stacy you looked so beautiful! 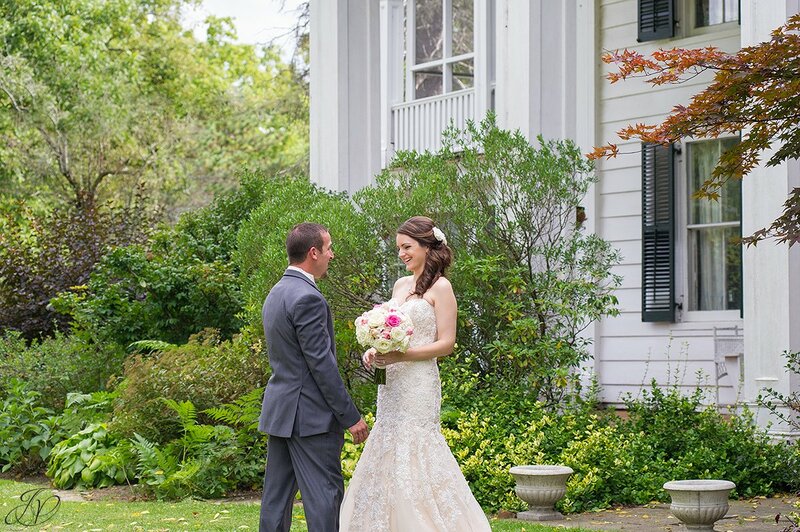 I wanted to reiterate what I said in the beginning of this blog, if you don't want to do a bride and groom first look, or any kind of first look, it's ok! 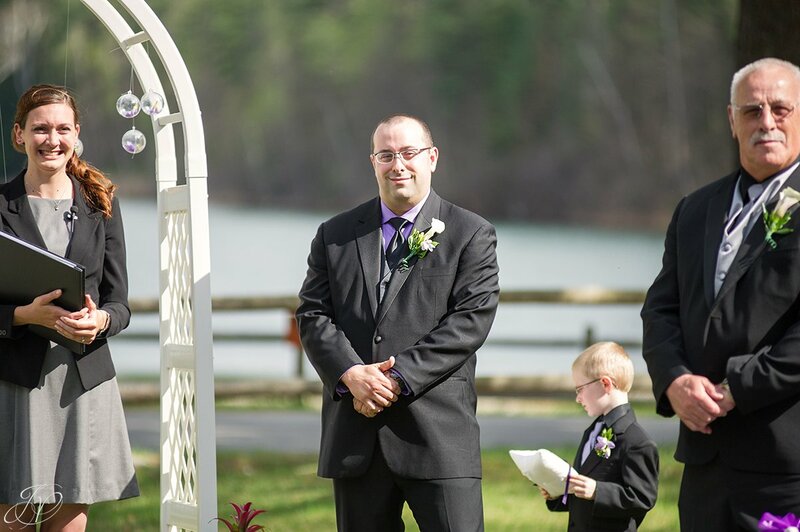 - Consider making your cocktail hour an hour and a half so there is more time for photos (especially if you have a big family and/or bridal party). Trust me, you'll be happy you did! 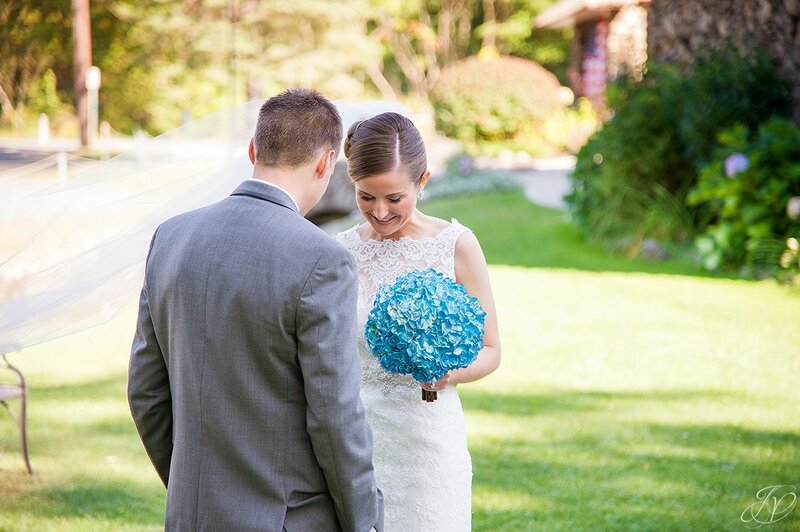 Our 2014 couples were so great and receptive to our suggestions; and I know this year will be just as spectacular! Hope you enjoyed this blog and our tips! Stay tuned for more.